This darling baby boy is all wrapped up, yet also ready to play. The ornament arrives with Baby's First Christmas imprinted as shown. 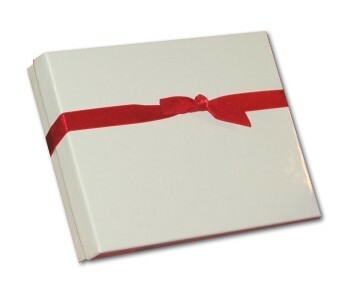 Personalize this baby swaddled in blue ornament with your precious one's name and the year. 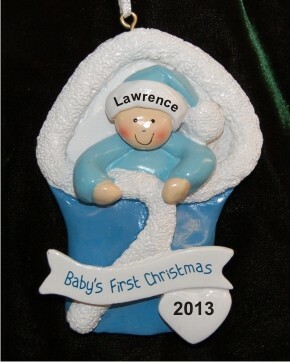 This personalized baby Christmas ornament measures 3.25"H, and arrives in our velvet bag for protection over the years. Stocking Stuffer Dec 6, 2016 Jeannie F.